How do I buy at www.gymplay.eu? Go to the product you want to buy and click “Add to Cart”. The product will then be placed in your shopping cart, which is shown in the top right corner of www.gymplay.eu. To pay, tap the shopping cart and select “Checkout” and enter your billing address. If you want the product delivered to a different address than your billing address, place a check mark in the box that says “Send to other than the billing address,” and fill in the delivery address. Do I need to register as a customer to buy? No. At www.gymplay.eu you do not need to register as a user/customer. Simply submit your information details in connection with the purchase. We do recommend that you subscribe to our newsletter for information about new products, new training videos, exciting competitions and other relevant news. Payment by credit card: You can pay with Visa, Visa Electron, MasterCard and Maestro. We use Epay Payments solutions for the transaction to be completely safe. Paypal.com You can use Paypal to pay the products from our webshop. Paypal is completely safe to use. Payment via transfer from the Bank: You can also pay for your purchase with a bank transfer. Here, you´ll need to go to your online banking system and transfer the amount to Gymplays bank account. 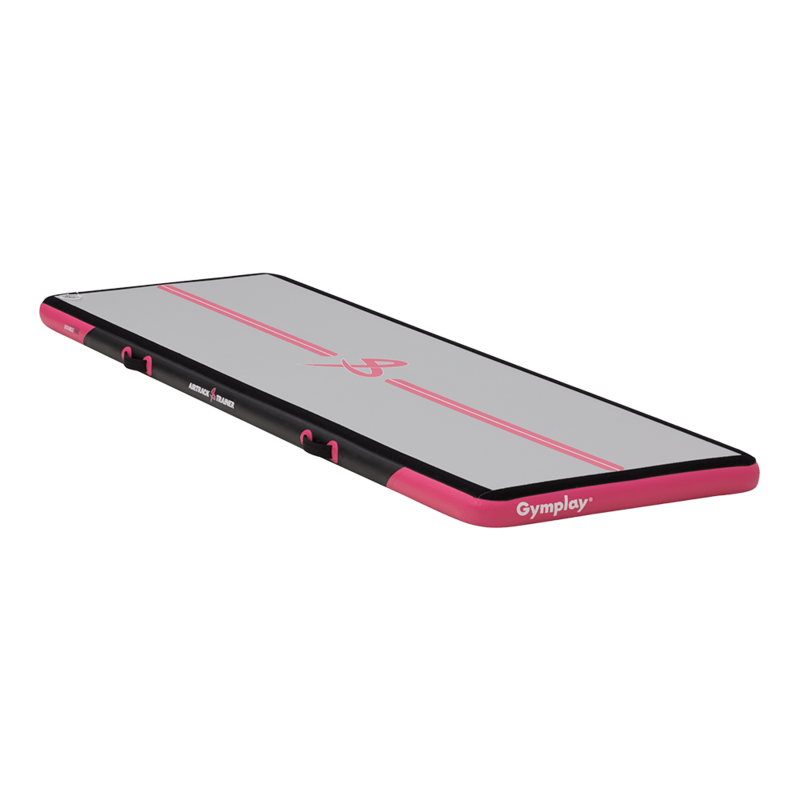 GymPlay will ship your order as soon as the money transfer has been verified. If you want a faster handling of your order, we recommend, that you choose to make an immediate transfer in your bank, whereby money is transferred immediately to the Gymplay bank account. My transaction does not complete, what do I do? – Security code (three digits are written on the back of the card just above the magnetic stripe). If you do not live in one of these countries, please feel free to contact us at info@gymplay.eu so we can arrange for delivery. I want to buy a product at Gymplay but I do not live in one of the above-mentioned countries . Do you ship to other countries? We ship all over the world, so please contact us at info@gymplay.eu to find out more. The price and delivery time may vary depending on where in the world you are. What is the shipment duration? We use Interfjord for shipments. All orders are shipped from our warehouse in Denmark to the within 1-2 days and the shipment duration varies depending on where to. The shipment duration for countries within the EU is approximately 3-6 days from the handover to the carrier until it arrives at your door. Countries outside the EU may experience a customs clearance delay to the shipment duration. Shipment duration only applies to products that are in stock at the time of the order placement. How do I get information about my purchase? Once you have completed a purchase at www.gymplay.eu, you will receive an email confirming your order. When the order is sent, you will receive another email with a parcel tracking number. We will keep you updated with your order if necessary. You will receive an e-mail if there are changes in your purchase or delivery. Can I bring my Gymplay Airtrack outside? YES. You can bring your Gymplay Airtrack outside. Just place the Airtrack Trainer on the grass, but make sure the area on which you place the Airtrack is clean, flat, dry and free of obstacles. 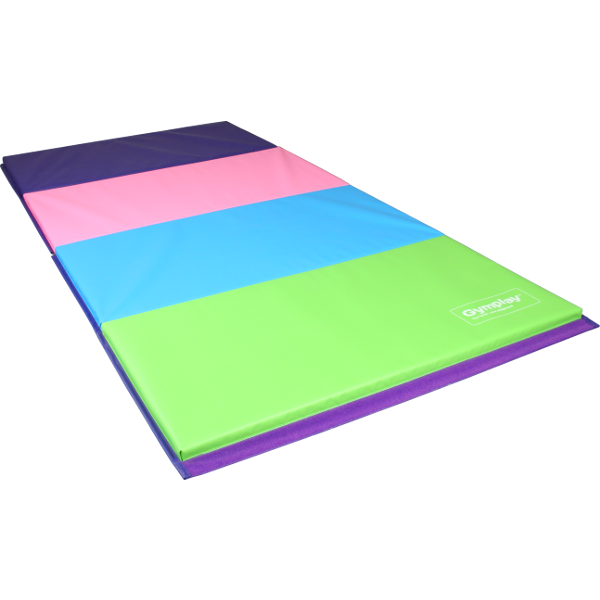 We recommend that you use a groundsheet or a pvc-mat under your Gymplay Airtrack. We also recommend that you avoid putting your Airtrack Trainer in direct sunlight over a longer period, partly because you run the risk of the colors fading, and partly because the adhesive glue is temperature resistant up to 80 degrees Celsius, after which there is a risk of leaks. Which Gymplay Airtrack should I choose? We recommend an Airtrack Trainer(10 cm) for children aged 5-13 years. 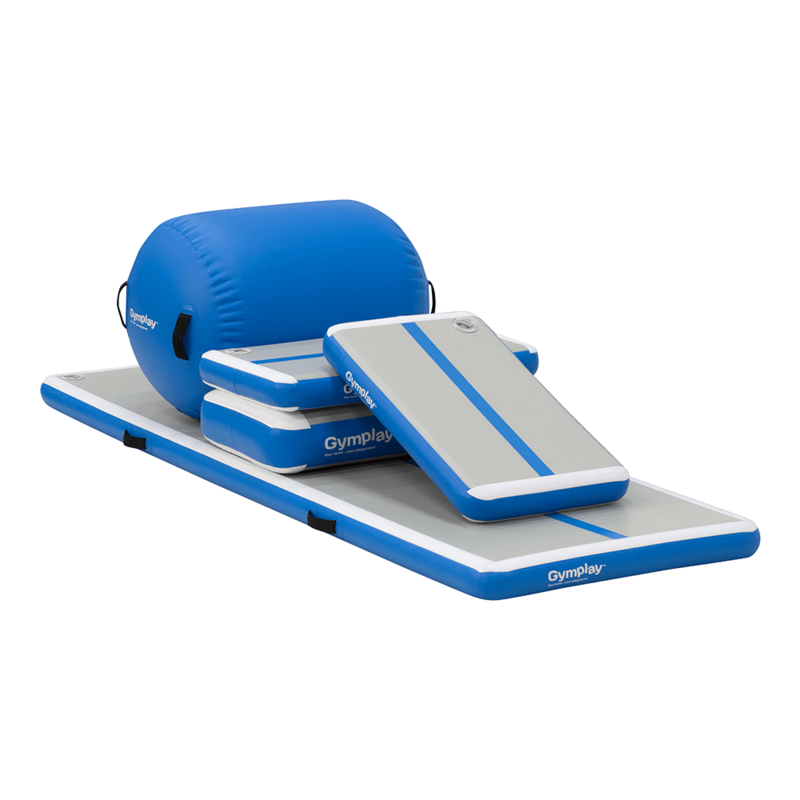 Younger children can easily use it, but an Airtrack Trainer is designed to provide the ideal bounce for children weighing between 20-60 kilos. For adult or highly skilled gymnasts, we recommend our pro models such as the Airtrack Talent Trainer Series(15 cm). How do I inflate my Gymplay Airtrack? It is easy to inflate your Airtrack Trainer. 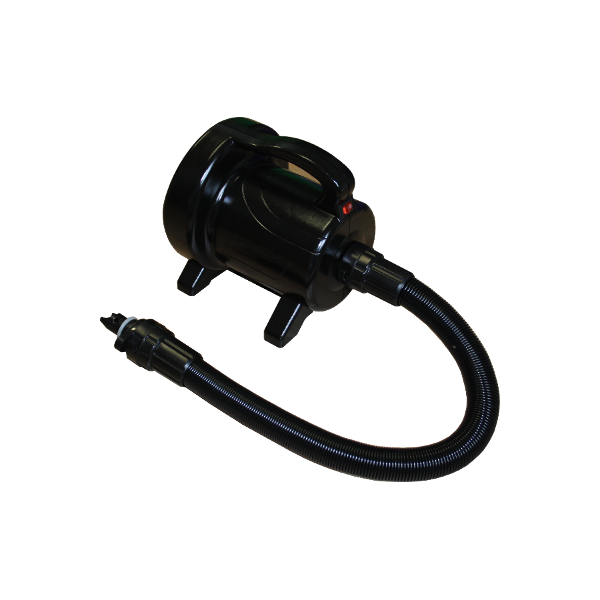 With the manual pump, it can be done in 2-3 minutes, whereas, the electric pump only takes 20 seconds. Your pump can also be used to deflate the Airtrack, follow the instructions in the enclosed manual. 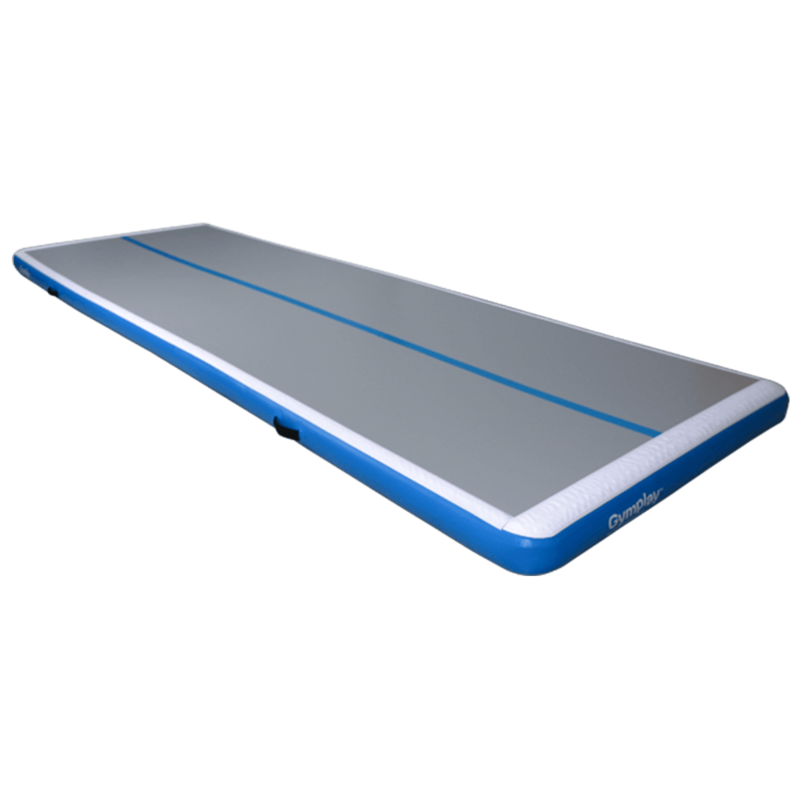 Your Airtrack Trainer is also easy to store away and does not take up more space than a sleeping bag! What do I do if my Gymplay Airtrack is flat? Your Gymplay Airtrack is not easy to puncture because it is made of very durable materials. If you are so unfortunate that the Gymplay Airtrack gets flat, you can easily patch it. We have included a repair kit with glue and PVC with all our Gymplay Airtrack, so you can be up and jumping again in no time.